Women's services, especially for those fleeing domestic violence, are under enormous threat from Tory and Blairite austerity. Socialist Party members have been involved in campaigns to defend services in Doncaster and Derby. From their experiences we have also drawn up a model motion, below, which we appeal to trade unions to discuss and support. It was summer 2017 when South Yorkshire Women's Aid (SYWA) was told that the service, come the end of that year, would no longer receive financial support from Doncaster Council. 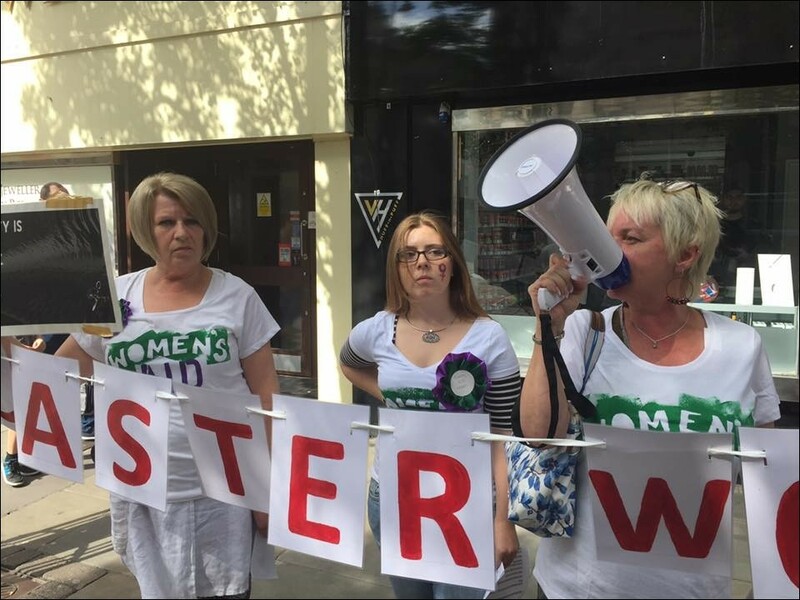 Women's Lives Matter (WLM) had started in 2016 to defend Doncaster Women's Aid, which closed due to funding cuts. Led by a staff member Louise Harrison, WLM campaigned for eight months and won the £30,000 grant to set up SYWA, a service won mainly by women in the community, which belonged to the community. The WLM campaign was not prepared to lose the service again due to funding cuts and so re-launched the campaign with full fervour. The service was told there were no funds due to cuts and that the Labour council's hands were tied. So challenging austerity politics was at the core of the campaign. Using campaign resources produced by the Trade Unionist and Socialist Coalition and the Socialist Party, we showed the amount of money Labour councils across Britain held in reserves. We were clear: Labour councils' hands are not tied, the Labour council can and should use its reserves as an emergency measure to fund needed services and set no-cuts budgets while fighting for government funds. Mayor Ros Jones was eventually forced to address our demands after a formal question to the council. Despite her complete unwillingness to look for no-cuts alternatives, it raised the sights of campaigners - including Labour Party members. At the height of the campaign we had secretaries of trades councils from across Britain, Labour Party branches and trade union branches pledging their support to our battle. We raised more than £10,000 from the solidarity of the labour movement nationally. Even John McDonnell made a public statement in favour of our campaign, criticising the three Labour MPs in Doncaster who had stayed deafeningly silent. The WLM campaign showed incredible determination. We did bi-weekly campaign stalls on the streets of Doncaster for four months, we staged a protest inside the council chamber and attracted national press coverage. SYWA service users heart-warmingly dedicated a therapeutic session at the service to writing letters to local Labour MPs Rosie Winterton and Ed Miliband. Our demands on the council were common sense to working class people in Doncaster. Many had personal connections to the service and would often join our stalls and protests - for some it was their first political activity. The campaign emboldened and politicised working class women in the community in particular. SYWA was saved by a big lotto bid. This would never have happened without the work of staff, volunteers and WLM. However, unfortunately the campaign was ultimately sold out by some in the labour movement who worked closely with Doncaster council, including some who have been awarded with councillor positions. The same people had tried to tell the campaign to not be vocal against the council. Eventually, through vindictive tactics, WLM was forced out of SYWA. Louise Harrison, the staff member who set up the service, did not have her contract renewed - a decision made by SYWA trustees who have been working closely with the council. After five months of 'back room' conversations with the council, the supposed victory from these tactics is a £200,000 grant from the big lotto. This is not substantial to the service in the long term. Without secure local authority funding, in a few years the service faces the same fate as many other domestic violence services across the country - scraping by from one financial year to the next, or complete closure. 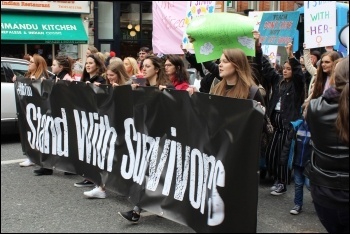 WLM continues to fight for secure and substantial funding for violence against women's services. Women's lives are lost to cuts and only uncompromising and consistent organisation against all who implement them - including right-wing Labour councils - will give domestic violence services the lifeline they need. Ultimately we need socialist policies like those which Corbyn's general election manifesto gave a glimpse of - mass council housing, a £10 an hour minimum wage now for all, a fully publicly funded NHS - to start to create a society based on the understanding that all women's lives matter and the fight to end inequality and exploitation means we can be truly free from violence. Derby Women's Centre has existed since 1978 and has been supporting women throughout Derbyshire who are at the most vulnerable point in their lives. The main aim of the centre is to reduce the devastating impact of mental health issues and domestic violence, but it offers many other vital services too. Until early 2017 the centre had survived with funding through charitable grants, donations and fundraising efforts. Last May the centre's most substantial grant came to an end and it was faced with the threat of closure. The centre has remained open only as a result of the heroics of two women. Both were users of the centre and were determined to save the centre - which they say saved their lives. Annette and Kelly launched a campaign. Kelly attended a Trade Unionist and Socialist Coalition post-general election meeting in June 2017 and both subsequently joined the Socialist Party. We discussed what the party could do to help. We held campaign stalls in the centre of Derby with the slogan 'Save Derby Women's Centre'. This was the first time Annette and Kelly had done anything like this and the response was amazing. They ran the stall with support from others and it attracted an incredible response, mainly from women but also men. Annette has personally raised over £15,000 during the last year. This has come from events such as 'Samosa sales'. An event including music and speeches organised by the daughter of a Socialist Party member raised over £2,000. Annette wrote a letter that was emailed to all Trade Union Congress-affiliated unions. Many responded with donations, again raising thousands. Annette also spoke at many meetings highlighting the campaign, including a National Shop Stewards Network meeting held in Birmingham. The campaign has also had support from Unite locally and Momentum in Derby. A group of us attended the councillor surgery of Rangit Banwait, Labour leader of Derby City Council. We pointed out that the council had funded the centre until five years ago. He was asked for a loan to tide the centre over. He refused. It was then put to him that the council has millions in reserves. He could offer some of this to help fund the centre. His response was that the reserves were for emergencies. You can imagine our faces when he said that. 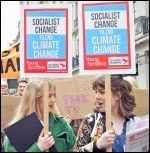 The Socialist Party campaigns for council reserves to be used to prevent any further cuts to jobs and services. This could then be the starting point for Labour councils to launch a mass campaign for the funds required to fully fund all the services we need. This would mean that the women's centre would be fully funded by the local authority and not have to rely on charitable donations which have shown how precarious they can be. At the moment the centre is providing a limited service compared to what it has done in the past but remains open and is awaiting the result of a bid for lottery funding. The fight goes on! 1. Domestic violence kills women. On average two women a week are murdered by a male partner or ex-partner in the UK and a further three women a week kill themselves to escape abuse. 2. Services for women and children fleeing domestic violence are being slashed. Since 2010 almost a quarter of the funding for council services has been cut on average - with almost half in some areas. 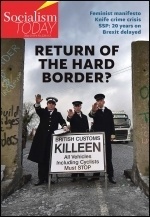 Over a six month period last year 1,000 women and children were turned away from refuges due to lack of funding. 3. Government changes to funding of council domestic violence services through the introduction of Universal Credit will exacerbate this with four out of ten remaining refuges threatened with closure. Theresa May's domestic violence bill does nothing to address the funding crisis. 4. While charity funding for these essential services shows the breadth of support for such services it is not a reliable source for services that cannot be allowed to fail. Councils have billions in reserves which could be used to prevent the closure of vital life-saving services. 5. Austerity, low pay, lack of council homes and the cuts and privatisation of public services make it harder for people fleeing domestic violence to escape and to rebuild their lives. 1. Domestic violence is a working class and trade union issue that affects workers and their families. 2. The trade unions have an important role to play in defending and fighting for women's rights and services. Working class women were key to the fight for women's right to vote; striking women workers laid the basis for the Equal Pay Act; the biggest demo in defence of abortion rights was initiated by the TUC. 3. Councils can resist. They can refuse to pass on the Tory cuts. By using their reserves and borrowing powers they can sustain services while they fight for government funding for all services. 5. Jeremy Corbyn has correctly called for the halting of the roll out of Universal Credit. Labour councils could refuse to implement the cut to refuge funding and help make the UC unworkable. 1. Every cut to domestic violence services must be opposed and that trade unions can play a leading role in this. 2. We resolve to appoint a member to look into local services and the cuts they face and to hold a public meeting to discuss a working class and trade union response to the cuts as soon as possible. 4. We resolve to seek to work with above bodies and supportive local councillors to hold a people's budget meeting to produce a no-cuts budget which is necessary to prevent the destruction of domestic violence services and the lives they protect.